For years it's felt like PlayStation Now has been treading water. It allows subscribers to stream games on their PlayStation 4, and it features a diverse library of titles. Of course, not everyone is in a position to stream their games perfectly, and so the service has gone somewhat under the radar for a while. However, Sony appears to be seriously stepping it up, as full game downloads have just been added to PlayStation Now. Starting today in the US, subscribers will not only be able to stream games, but they'll also be able to download both PS4 and remastered PS2 titles directly to their PS4's hard drive. This huge addition changes the scope of the service dramatically. Sony notes that "almost all" PS4 games already on PlayStation Now will be available to download. 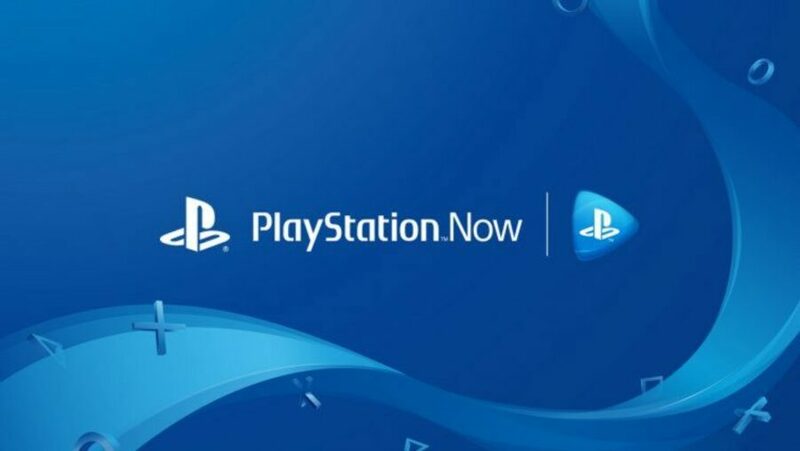 To keep playing your downloaded games, you'll have to make sure that your PS4 is connected to the internet every few days so that your PlayStation Now subscription can be verified. As for Europe, there's no news of this yet, but we'll be sure to post all the details if it's announced. What do you think of this? Are you more likely to subscribe to PlayStation Now, now that you can download games? Open your wallet in the comments section below. This is what I wanted from the service in the first place. GREAT move! This is terrific news, may actually get me to resubscribe! I hope they can find a way to make Ps3 games work. I k ow there are a lot of technical challenges there but it would make this a no brainer. I'm sure some will ask, but it doesn't look like you'll be able to download games from PlayStation Now on your PC. At last! Is this what Version 6.0 was for? This is huge news. It was obviously rumoured but still a big deal. @LaNooch1978 Could certainly be part of it, good shout. Finally! Will subscribe as soon as possible (EU). Sonic Adventure 2 is still the best Sonic game. I need a constant internet connection to verify the game?! This is absolutely ridiculous and Sony should be ashamed! How anti-consumer! What if my internet goes out?! Aaaargh!! NOTE: Parody of the internet rage regarding another company doing something similar. Huge stuff, finally puts Now on the same level as Xbawks' Game Pass. 'bout time. Did they raise the price or anything else negative to balance out this HUGE positive? Only negative I see off hand is I'll need to buy a bigger external HDD now, even that is mostly full. I was hoping PS Plus is gonna become like this. Thats a lot more of an appealing a service as of now. Will certainly consider once available in Europe. Cool, my internet is not fast enough for psnow so having the option to download the game is great. I already subbed to ps+ though so I don't think I need this now. Also this service will be gigantic if sony add ps1 and ps2 bc on psn. This service only appeals to me for the PS3 games (since I no longer have a PS3), so...I'd rather have a 1080p/60 FPS streaming option! I would subscribe if it included PS3 games. This is certainly good and can see it pulling in more subs. Ill definitely consider it once it's over here. I wish I’d taken up that years half price offer they had going over the summer now!! @Jriibz there are very few ps2 games on ps now unfortunately... just over a dozen and it has been a long time since sony added any new ones... ps2 games have not been a priority. So it's Game Pass basically now? @Orpheus79V Yeah it's pretty similar but I wouldn't expect Sony to include their new first party games on release day like Microsoft do. I see what you’re trying to get at, but you’re comparing apples and oranges. The company you mention required that internet check for games you bought. Sony is requiring this check for games included with the rental service. HUGE (as in all caps) difference. Gamepass is great, so I'm really thrilled to see Sony adopt this model. About time. The lineup is still a bit disappointing though for the price imo. Still too expensive and inferior to gamepass but definitely a step in the right direction. @b1ackjack_ps technically is is, you have to go online to verify the game if you have been offline for a while to reactivate the timestamp (the only expiry is the duration of your ps+ subscription but with ps now you would have a much shorter time to play offline before you have to go online again to activate again), only difference between the two is the streaming. @lacerz Uhm, I was refering to the NES games on Switch as part of the Nintendo Switch Online service that requires verification every 7 days to keep playing - people are losing their minds over it. Oh...I was thinking about the initial always online aspect originally proposed for the Xbox One, requiring check-ins in order to play games you had purchased. What you’re talking about sounds the same as what Sony is proposing, which I think is fine. If only they could put the service back on the ps3 so I could download those titles too! This changes EVERYTHING. Now yes, I'm considering subscribing when it's available here in europe..
We just upgraded our internet yesterday, so it looks like I'll be giving PS Now a try. Man, just like that, they made PS Now an interesting proposition. @NintendoFan4Lyf @lacerz The reason people are annoyed at Nintendo is because there's no other way to get the games on the Switch. It's not like Now where you could either buy them on their own on the PS Store or rent them. @Cassetticons That’s a whole separate issue - one I do agree with the backlash there. I am solely referencing the 7-day verification requirement here - people lost their minds about it as if free wifi doesn’t exist. I’ll leave it there since it’s going way off topic now. I am all for this download vs streaming idea. If I had more time, I would consider subscribing to PS Now. Great news for people with rubbish internet like myself. Now if only they could add PS1, PSP and Vita games to the mix.This service would be unbeatable. Sony IS listening. PSN name change is coming too. I'm sure of it. Now they need to bring it over to Europe and market it properly like Microsoft is doing with Game Pass. I'm sure the subscribers count will increase dramatically. My biggest issue with PS NOW is that the audio is in stereo only, no 5.1 or 7.1 audio. Hopefully downloading will fix that. This is great news, though hopefully PS Plus subscribers can get PS Now for free eventually. Does anybody know what happen to the #ps2ps4? I wish there were more ps2 games on the ps4.